Never managed this in BR days. Eight class 58s bake in the Spanish sun at Monforte del Cid. They are 58043/030/015/031/029/024/047 & at the far end 020. 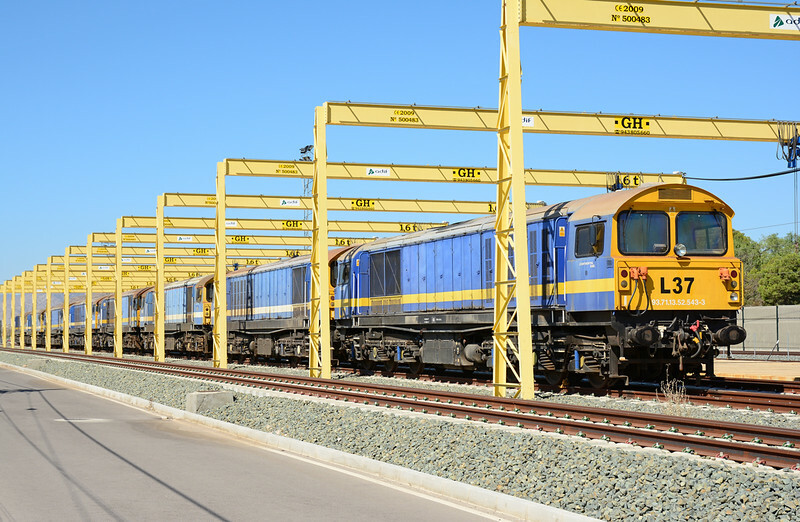 They are strored here awaiting further work to commence on the high speed line to Murcia.